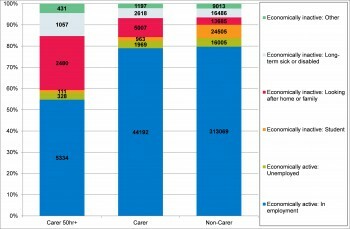 The table below shows the number of people providing unpaid care in the county according to the 2011 Census, which reveals over 84,000 carers and over 18,000 providing unpaid care for 50 hours or more per week. 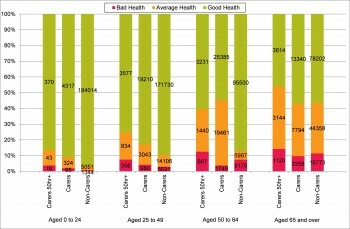 Carers tend to be in poorer health than non-carers, and higher levels of unpaid care are associated with particularly poor general health. Figures 10.9 and 10.10 provide a breakdown of health by age for non-carers, carers, and those who provide unpaid care for 50 hours or more from the 2011 census. 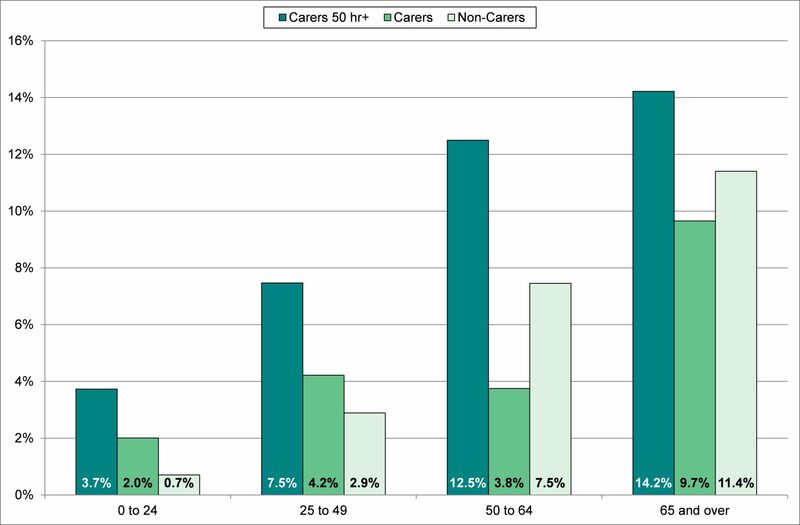 The health of young carers and persons aged 25 to 49 is notably worse than non-carers. 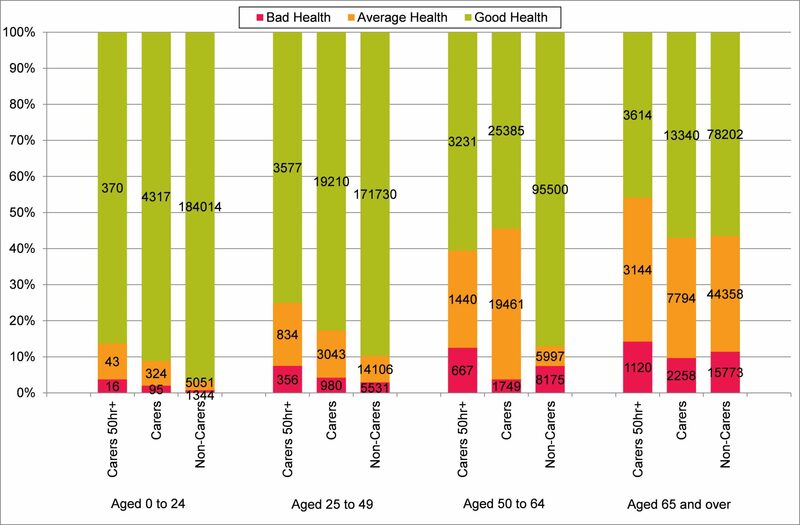 Levels of good health are significantly higher in non-carers in the 50 to 64 age group, and for persons aged 65 and over whilst the general health of carers and non-carers is similar, for those providing unpaid care for 50 hours or more general health is notably worse. Levels of economic activity are also much lower in persons who provide unpaid care. 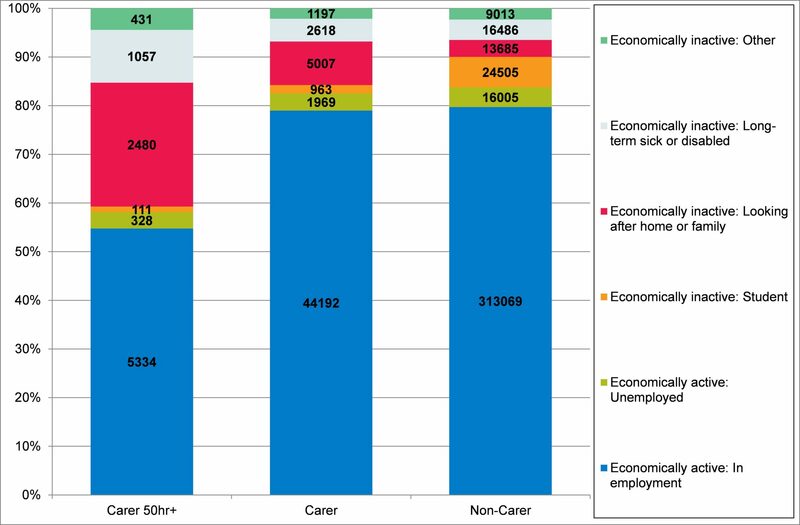 Figure 10.11 reveals non-carers have higher employment levels, whilst unpaid carers are more likely to be long-term sick or disabled, or defined as ‘looking after family or home’. 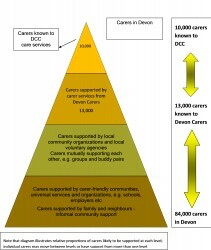 Figure 10.12 reveals levels of support available to carers in Devon. 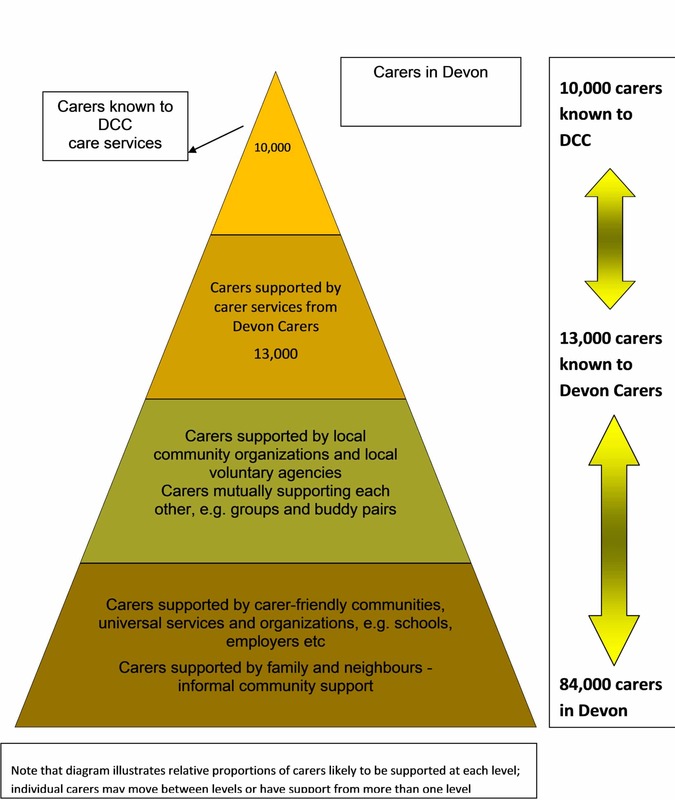 This reveals whilst a fairly small proportion of all carers have sought or are receiving support from Devon County Council or Devon Carers, with most being supported either through informal community and familial support, voluntary agencies and non-specialist services.